First of all, let me first give my condolences to the family of Bill Nangle, and may he rest in peace. 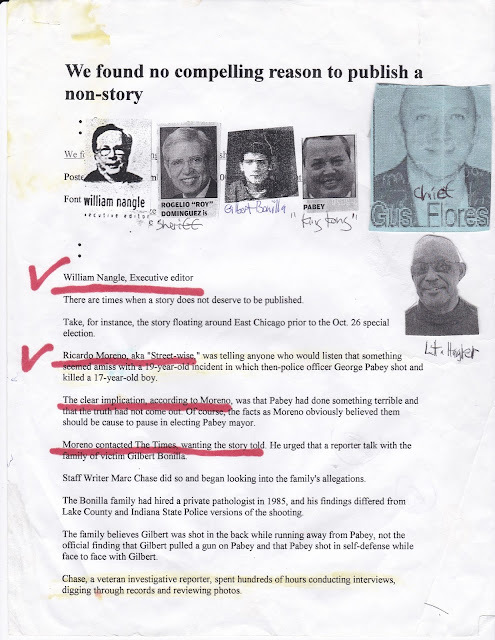 Street didn’t always agree on issues, and we went “toe to toe” over the Gilbert Bonilla Homicide with Nangle in October 2004. Enter stage door left. Marc Chase had just come up here to “The Times” from Iowa in 2002. It wasn’t until the Indiana State Supreme Court called for a special election in East Chicago October 2004. George Pabey filed a lawsuit, stating East Chicago 2003 Mayoral Election was rampant with vote fraud. Indiana State Supreme Court agreed, and now the Gilbert Bonilla Story had its “entry point”. The one thing that Street would always clash with The Times over was what constituted news. Why weren’t some stories investigated? In the end sometimes, Street felt like a “movie producer” that was pitching a movie to The Times. They were the studios who could green light a movie to be produced. The story was to be written. You get the analogy. But tell you one darn thing. Bill Nangle showed what he was made of when he put on his reporter’s cap…. 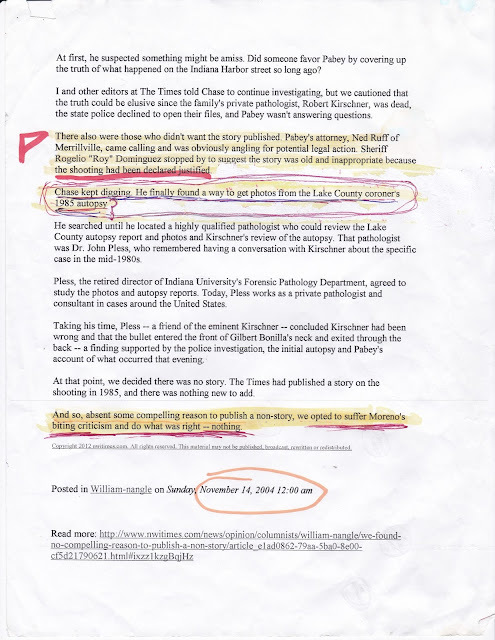 Nangle filed a complaint with Public Access Counselor in Indianapolis. 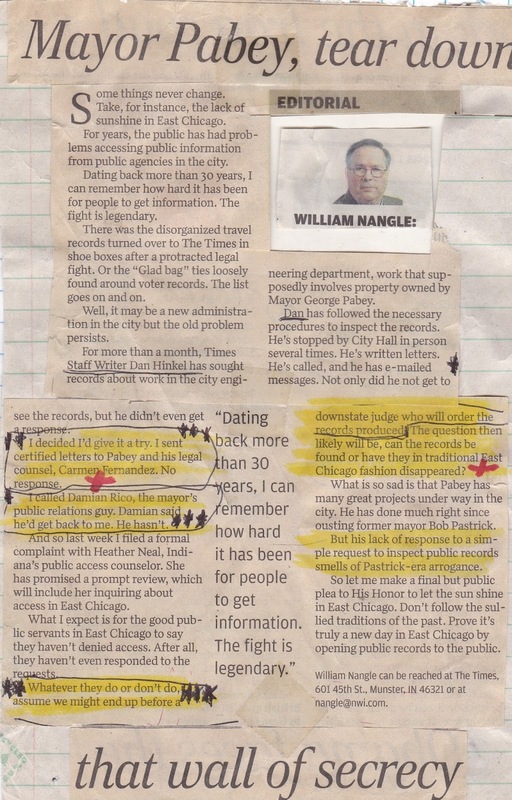 Mayor Pabey wasn’t releasing documents to the press. Mr. Bill Nangle had a lot of miles on that Cadillac and fought the good fight. He took a swing at King Kong in his editorial, and Street was feeling that. 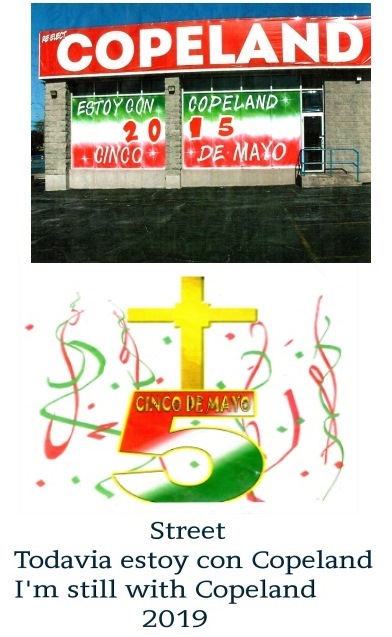 The question then likely will be, can the record be found or have they in the traditional East Chicago fashion disappeared? This is what Mr. William Nangle was talking about…Said a mouthful and didn’t stutter, you feel me? 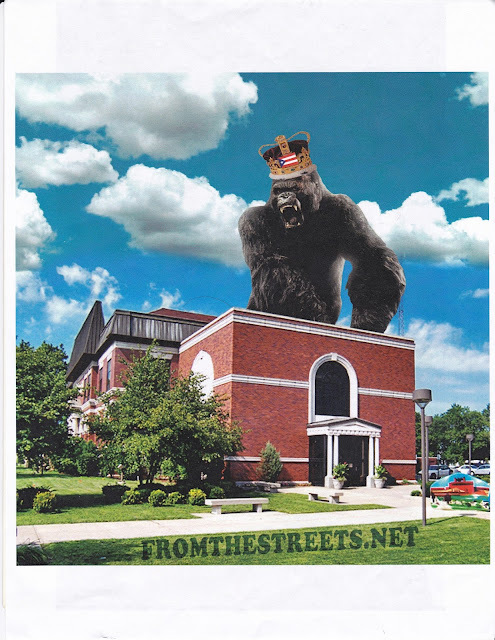 In his commentary, Bill Nangle printed misconception… no mention of Streetwise had given Marc Chase photos. The part where the misconception comes is as following: Chase kept digging. He finally found a way to get photos from the Lake County Coroner’s 1985 autopsy. Street helped Angel Bonilla to get a “court order” to gain access to autopsy report. Thanks to Saul Ruman (CY). Now, Marc Chase and I went to Wal-Mart and put the crime scene photos on a disc. Spent six dollars, and we spent $700.00 for a lawyer.